I’ve held that secret close to my heart like a royal flush, only letting it spill on occasion. Over the last two years or so, being a food blogger, I’ve received care packages from the lovely folks at Kerrygold. Though part of the territory of being a food blogger — after a recent evening at a local blogger event hosted by them — I felt I just had to show my hand about this fabulous brand once and for all. Great things, after all, deserve to be shared. Actually a brand of the Irish Dairy Board, they are a co-op of dairy farmers. Not an advertisement for Kerrygold (nor have I ever been paid a red cent to say this), just a little in-the-know “psst” from me to lovely you. A cultured butter full of silky, clean-tasting creaminess, it is like light gold. It spreads like a dream and goes down way too easy. Simply put, it’s the best butter on the market, hands down. And let’s just say that if Kerrygold Pure Unsalted Butter didn’t melt, I’d take daily naps on the couch snuggling up with the stuff. Containing some of the highest butter-fat content on the market (82%), it makes for the best biscuits on the planet. Use it in anything that calls for plain unsalted butter and you’ll be needing to rewrite the recipe to include a “Best” in front of its title. Happy, grass-fed cows from the emerald green pastures of Ireland. Cows raised in small herds that graze outdoors on this rich, natural grass day in and day out for up to 312 days a year, longer than almost every country in the world. And on the other days of the year when winter comes and the grasses stop growing? They munch mostly on dried grass that’s been cut fresh and saved up for them during the year. Just as it should be, growth hormones and BST are completely banned in the Emerald Isle. And just as sweet, all of Kerrygold’s products are also free of genetically modified ingredients, antibiotics and pesticides. Why should all this matter? Because happy, healthy, grass-fed cows make great milk. Not only great tasting, and exceptional to cook with but so much better for you too. Now that’s something worth mooing about. 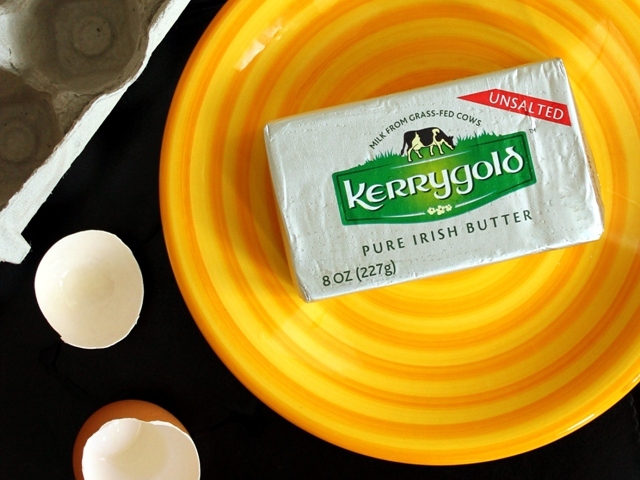 To learn more about Kerrygold and the Irish Dairy Board, go to http://kerrygoldusa.com. Is there a food favorite that you love? Let’s share! Discuss! Yum, and grass fed! I’m curious, do you prefer the unsalted to the salted version? 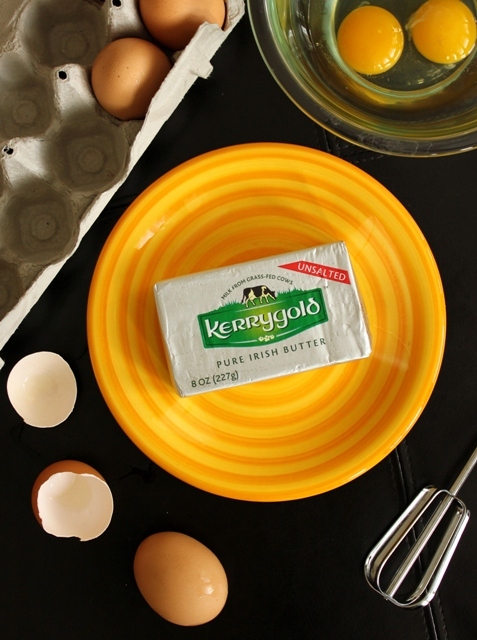 I too have long been a fan of Kerrygold butter! It really is the best tasting butter I have ever had…too bad we don’t have it up here in Canada 😦 I actually make a trip across the border to buy some every once in a while.